Over the course of 10 years, more than $70MM was awarded by the Wells Fargo NEXT Awards to CDFIs creating impact through innovation. These awards demonstrated the ways CDFIs are constantly seeking to create opportunities out of challenges. While the Wells Fargo NEXT Awards program is officially ended, in 2017 we are excited to pilot a new multimillion dollar opportunity to invest in innovation: the NEXT Fund for Innovation (NEXT Fund). Recent OFN research on the CDFI industry and its evolving capitalization needs shows we’re at a pivotal point in our history, with new opportunities and challenges. We know CDFIs need “innovation” capital to achieve impact, but the form this capital takes is also important. The NEXT Fund will provide flexible capital, through equity and debt structures, matching financing structures with innovation level and risk. Unlike the NEXT Awards, these funds are not constrained by sector or innovation type, and can be used by CDFIs and CDFI affiliates. Applications open February 2, 2017, and will be accepted on a rolling basis through June 30. 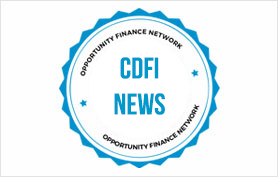 Through the NEXT Fund, OFN will provide flexible capital for up to three CDFIs in amounts ranging from $500,000 to $2,000,000. To learn more about the NEXT Fund, join us Thursday, February 9, 1:00–2:00 PM ET for an information session. Partners of the NEXT Fund include Wells Fargo, Prudential, The John D. and Catherine T. MacArthur Foundation, and The Kresge Foundation.